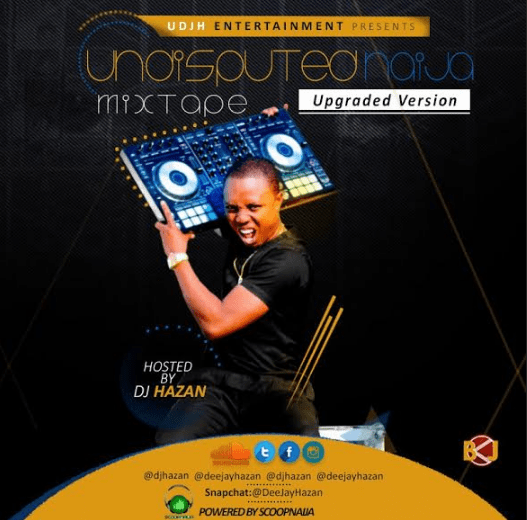 DJ Hazan releases a fresh mix of your favourite tunes in mixtape tagged “The Undisputed Mix” (Upgrade Version). The tape lasting over an hour comprises about 35 tracks that are ruling the airwaves presently. You simply can’t dispute the fine selection of the mix. Check it out, download and enjoy. – Olamide – Who You Epp ! i am a big fan of you dj hazan .its really very interested and amazing to have your collection list here.Thanks a lot for sharing it with your fans. I am a big fan of your talent. your shows are really superb and mind blowing.I suggest you to insure your talent from a well reputed specialized insurance company to save yourself from any kind of lose.